Do you know your customer's mobile number? You should. Do you have customers who love you? Have you collected their mobile number? Well, you should. Using text messaging as a marketing channel can be very effective. If you gently give these customers some VIP treatment, they will reward you with sales. Here's how to do it: SendTree can provide you with a local phone number -- it's yours to keep. You publicize this number and have people text 'JOIN' to this number to opt-in. You can also use space on the receipt to tell them how to join, or ask them at the register. An incentive like a discount or a giveaway will also help you build your list quickly. 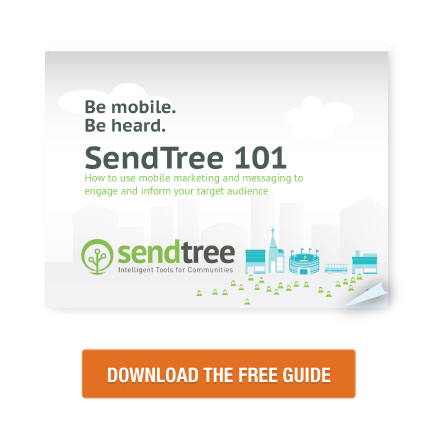 Learn more: Download our "SendTree 101" guide to discover lots examples of how SendTree can be used. SendTree takes spam very seriously. SendTree is an excellent tool for staying engaged with your business's community and is intended to be used with established contacts and opt-in subscribers. If you have received a message that looks like spam from someone using SendTree, we want to know. 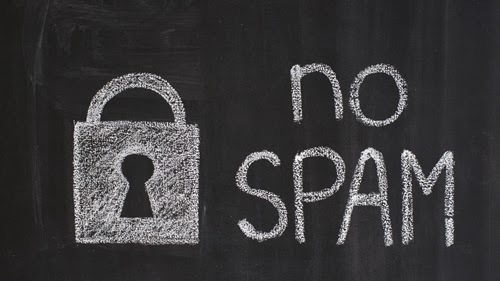 Please report spammers at our homepage. Did you know that SendTree can call people on the phone and play a voice message? If no one is home, the message can be left on their answering machine or voice mail. 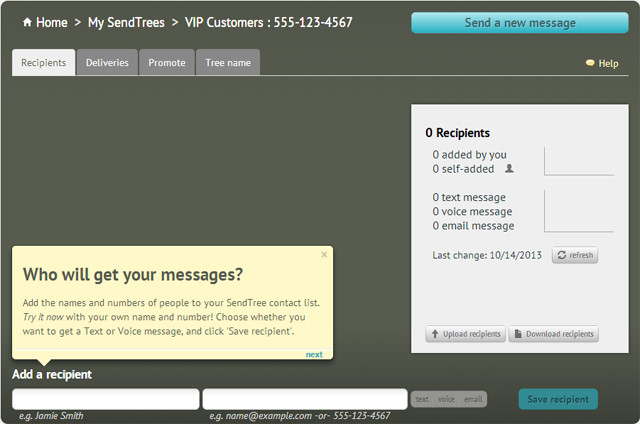 You can use SendTree exactly like a phone tree. After you click the "Record voice message" you will call your own SendTree phone number from your phone. When you hear the greeting "Welcome to SendTree...", press the star key on your phone's keypad, and then enter your PIN. You can hear how your written message will sound when read by machine. And then you will be prompted to record your own voice reading the message. Once you have recorded your message, an audio player will appear on your screen where you can review your outbound message. Now when you click "Send Message", any voice recipients will receive a phone call with your recorded message. How do people become voice message recipients? 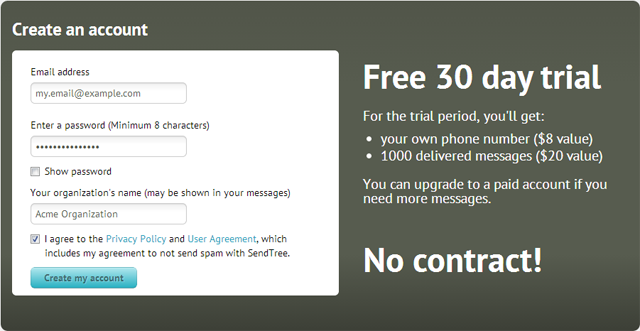 Simply dial your SendTree phone number, and verbal instructions are given for adding the caller to the list. Give your SendTree phone number to anyone who wants to receive messages and they can add (or remove) themselves to the list. 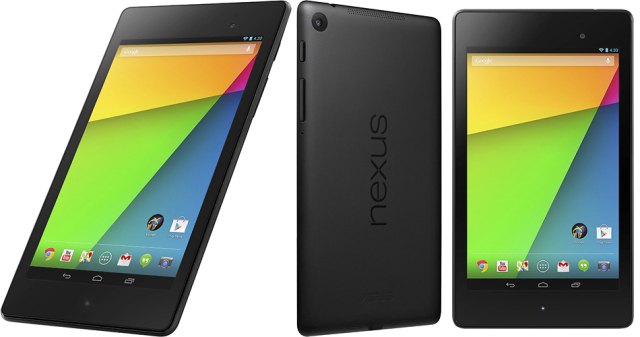 Following the ROAM conference SendTree gave away a Nexus 7 to one of the attendees. Congrats to Ian from The Chicken And Rice Guys in Boston. Enjoy your new tablet! After ROAM, we took a charter bus to Rose City Food Park, which is home to 13 food carts and has a nice outdoor space with tables, restrooms, and even some tent space to eat beneath. There was a nice variety of carts -- Indian, Soup, Italian, Thai, Mediterranean, burgers, bagels, BBQ, and even food from Guam. Have you ever eaten Guamanian food before? Me neither. So that made PDX671 an easy choice for me. I was lucky to get a sampler plate. The Kelaguen Mannok was very tasty, with the right amount of tangy, lemony flavor and just enough Thai chili kick. Wow. I want to hitch it up and take this cart home. After ordering I learned from the proprietor that Guy Fieri had recently visited and that their cart will be featured on Diners, Drive-ins, and Dives on Monday, September 16th. That will certainly bring a bit of new foot traffic to your door. 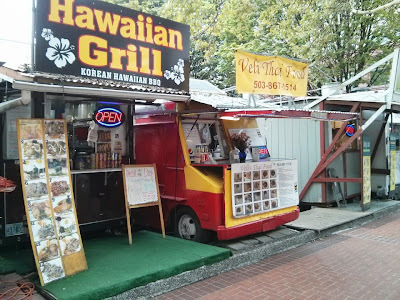 On Friday before the ROAM conference, I took a 90 minute walking tour to check out the food cart scene in downtown Portland. It's no wonder the fast-food-chain joints have abandoned downtown. If you could walk outside for lunch and choose between something of the McD's ilk, versus homemade meals-to-go from all corners of the world, and spend the same money, what would you do? During the tour I got to sample some (portabella and pork) dumplings from Dump Truck, some Carolina BBQ (with black-eyed peas and slaw) from A Little Bit of Smoke, some Belgian Waffles (with caramelized sugar) from Gaufre Gourmet, and some superb grilled pizza from Pulehu Pizza. I had some seriously good eats, and not enough time to see it all! If you're in Portland, give yourself as many opportunities to check out the cart scene. SendTree 101 is all about helping you boost your marketing and engagement with your audience, so get creative and start creating connections with SendTree! Thanks Roam for the blog piece on SendTree. 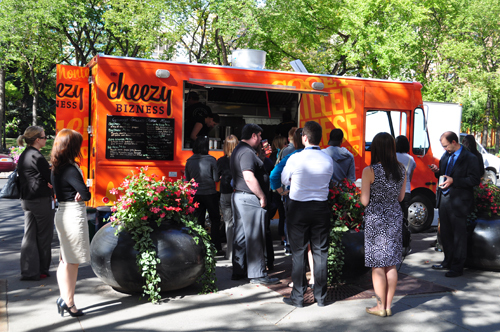 Food truck owners do face some extra marketing challenges, especially those that are frequently on the move. 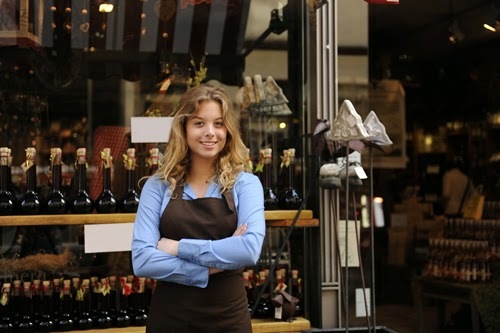 Communicating location to customers can make a difference on the bottom line. Messages about location are good, but let's not forget to send out some customer love, just because. Make your VIP customers feel special. Text them an offer for a "free" something. People love free stuff. They will love you! SendTree is a messaging service that allows you to send messages to groups of people for information updates, notifications, and reminders. For example, its text messaging service can be used for marketing to existing customers, to promote events, or simply to communicate with interested parties. Our SendTree guide has many additional examples of how it may be used. You can create a new account by visiting https://www.sendtree.com/create-account. You need to supply a valid email address, a new password, and provide the name of your organization. Note: your password should be at least 8 characters long, have at least one digit, and at least one upper case letter. A SendTree is a list of people, and a SendTree has a unique phone number. You should name your SendTree so you can remember what that list of people is all about. For the example above, I have created a SendTree for my "VIP Customers", to whom I might occasionally send announcements or special deals. What about the phone number? What's that for? The phone number will be used for all phone interactions with that list of people. For example, if you send out a text message to the list, your recipients will receive the message from your SendTree's phone number. Same with outbound voice messages. You can also have people text JOIN to your SendTree phone number to add themselves to the list as recipients of text messages. Or if they want to receive voice messages, they can call the same number and follow the prompts to add themselves as voice message recipients. So this page is where you assign a name to your SendTree, and where you can search for a local number if you don't like the number presented. Note: we provide phone numbers for most of the US and Canada, but there are a few area codes where we sometimes run out of available numbers. If you have any questions, send us an email at help@sendtree.com. Enjoy your new account!